This article is aimed to spread the word about the giveaway. Are you one of those smart guys who always take part in the events like these? Why not, all of us like to get top-quality stuff for free. So, take your time to read this brief intro and browse WordPress, Joomla, and PrestaShop templates featured right under it. Which of the three platforms do you prefer? Of course it depends on the project you are going to launch or rebrand. For instance, bloggers prefer WordPress, business owners frequently put their hopes on Joomla, and online merchants like PrestaShop. Web designers and developers are interested in all engines, as you understand. The giveaway is carried away from 31st of March till the 7 of April. Please make sure to meet the deadline. We advise you not to put off till tomorrow what you can do today. It's really easy. Browse the templates showcased herein under, view their demos, and study their specifications. Choose the one you would like to get for free and put down its number at the comments section. You can also write why did you choose this or that template and what are you going to do with it. By the way, there will be three winners who will get one of the templates featured in the blog post. 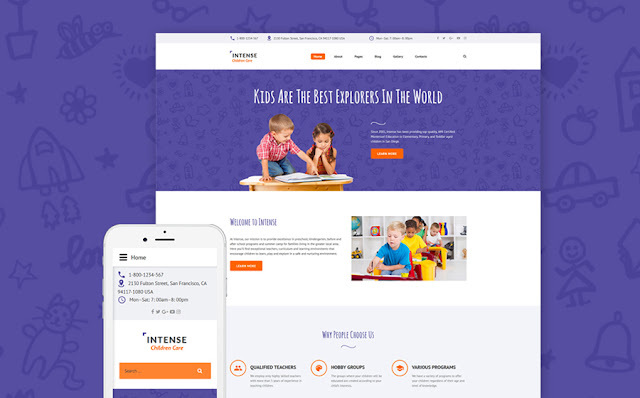 All templates were developed by TemplateMonster team. TemplateMonster is one of the industry leaders on web design and development market. It is the oldest and the most experienced company in the field that tracks all latest web design trends and web development technologies. It goes without saying that the quality of their products is beyond any doubts. What's more, the company have nearly 24 000 templates in stock with quite a number of WordPress themes (click here to view all of them), Joomla templates (click here to see their examples), and PrestaShop themes (here is the link to follow and have a look at all of them). Are you ready to browse the templates that are given away? Then, we wish you to have an enjoyable and efficient browsing. 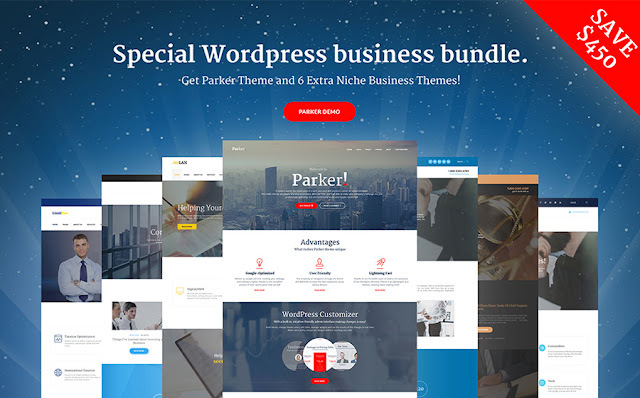 Parker theme includes 6 extra niche business themes. Parker is a good choice even for those who know nothing about coding. It lets you build pages easily without touching a single line of code with flexible Power builder. You can also take advantage of more than 25 modules, library of presets, and drag-and-drop functionality. The theme comes with bonus skins. 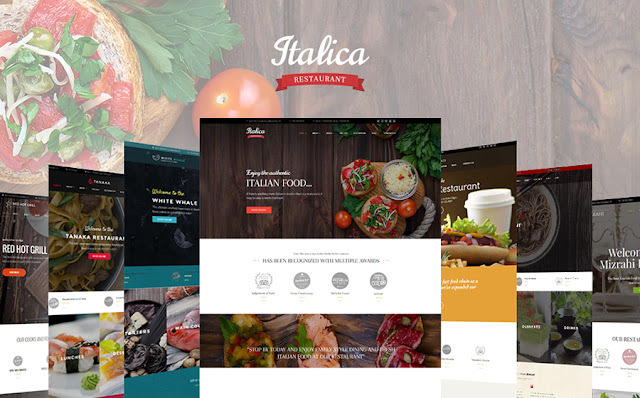 There are 6 of them plus demo content helping to create niche restaurant websites in just a couple of clicks. The theme gives you the possibility to choose from a large set of layout options and experiment with your pages structure. You can speed up your building process by saving your favourite layouts in a built-in library, and use them when you need to create a new page. Playful pattern in the background is highly relevant for kids care/education topic. Cute violet color is pleasant for the eyes. However, if you don't like the color scheme, you can change the palette of your site interface with a click. Theme color switcher customization tool lets you keep your site inline with your corporate identity. 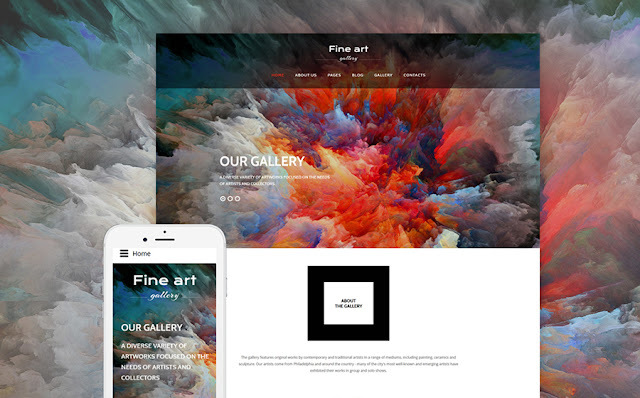 This theme for art galleries will help you present your visual content best possible way. It offers a website slider, which is a great thing in terms of presenting important information. Place there your custom slides with promos, new products, or any other things you wish to highlight. 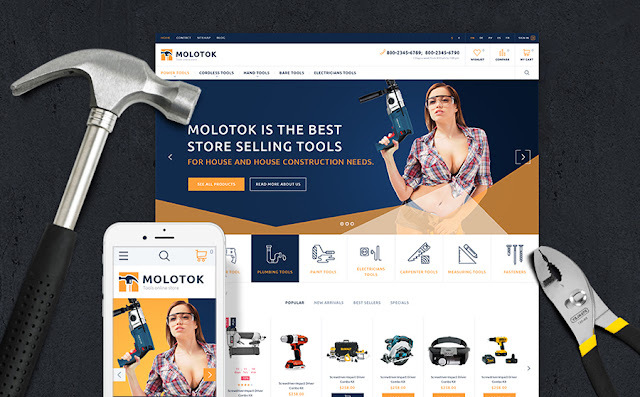 This theme will help you sell your tools with style. MegaMenu is here not to let your customers get lost in the assortment of your products. You will be able to sell internationally because the theme is multilingual and multicyrrency. A bright and creative theme for an art gallery or an artist portfolio. 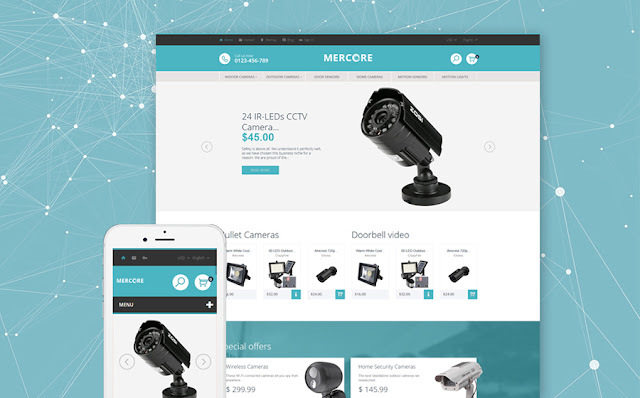 The theme offers both catalogue and store modes. 3 pre-made layouts are included into the template's package. Theme's ultra responsive design fits each and every screen, be it a regular monitor or a smartphone. A serious design for safety equipment stores. Comes with TM Mega Layout module. Using this unique module you can modify the layout of the homepage quickly and effortlessly. Drag & drop option for rows and sections, Ajax functionality combined with easy and intuitive interface open a wide range of opportunities for altering the frontend features of your online store. Did you choose anything? What template is it? Do you remember what to do to get it for free? Put down the number of the selected template at the comments section below. Remember about the deadline: from 31st of March till the 7 of April. Three winners will get their prizes (one of the templates above), we hope you'll be one of them and wish you best of luck.